Branding aside, the Honor 8 is a purebred Huawei sharing much of the P9 DNA. It was created to fill the blanks left by the P9 by attending to markets and price tiers beyond the reach of the Leica co-branded flagship. Honor 8 has its own take on design, but keeps the internals pretty much intact. There is the same 5.2" 1080p display and Kirin power core. Even better, both 32 and 64 GB storage options come with 4GB of RAM. The most interesting bit, of course, is the dual-camera setup lifted from the P9 - put in a clever setup together for better low-light selfies and bokeh effects. Missing the Leica branding meant you lose the exclusive film modes, including the monochrome one, but Honor found a clever way around that. Lacking the option to shoot with the monochrome sensor only is gone with the Leica branding, while the Kirin chip means no 4K video recording. The B&W camera is still used but only for shooting in low-light conditions to enhance the final photo, though so it's not just sitting there. Plus the rest of the features we saw and loved in the P9 is all here and it all comes at a fraction of the price so it looks like a great deal. 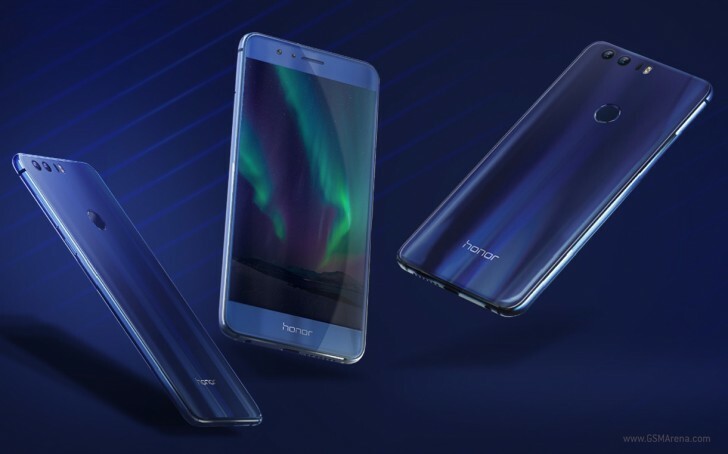 Then again, we'll have to carefully check if the Honor 8 cut any other corners to stay on budget so we won't rush to any conclusions. We are starting with the hardware inspection right after the break. I have bought my honor 8, using it in Angola it doest let me to registar in HUAWEI account becuse my country is not listed on it, finding it hard to use, is there anyone who can help?